Manet - TripImprover - Get More out of Your Museum Visits! Who is Manet? Édouard Manet was born in 1832 in Paris and died there in 1883. 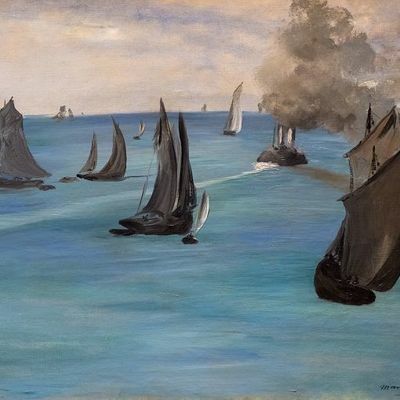 When Manet was 16 years old, he spent about one year on a ship going to Brazil. 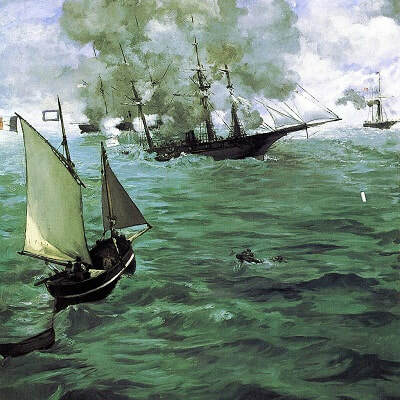 While he failed the examination for the naval academy, he remained always fascinated by the sea. About ten percent of his paintings were about the sea. He is also the main figure in the transition from Realism to Impressionism. 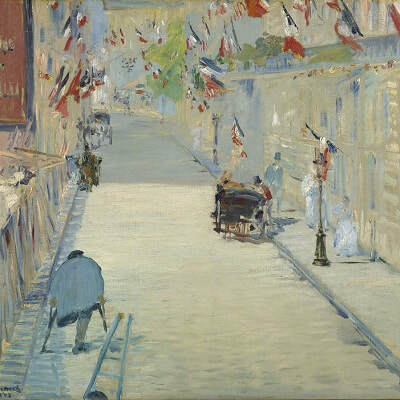 During the 1860s, he became friends with painters such as Cézanne, Degas, Monet, Pissarro, and Renoir, and under the lead of Manet, they developed the Impressionist art style.